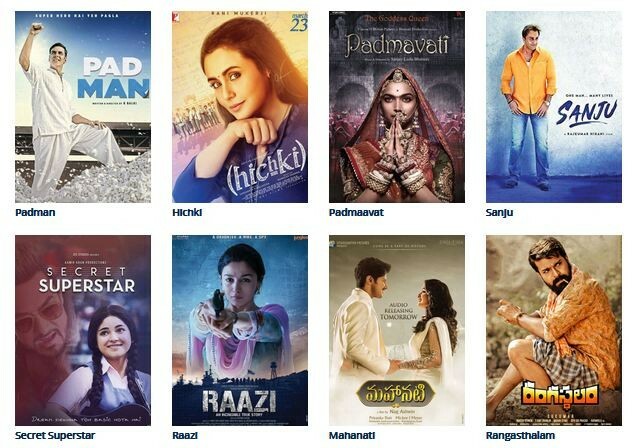 IFFM Awards nomination list: Padmaavat has received more nods than Sanju, Secret Superstar, Raazi, Mahanati, Padman and Hichki at the Indian Film Festival of Melbourne Awards. Padmaavat has topped the nomination list of IFFM (Indian Film Festival of Melbourne) Awards beating other big ticket Indian movies like Sanju, Secret Superstar, Raazi, Mahanati, Padman and Hichki. The (IFFM) is an annual Indian Film Festival funded by State Government of Victoria in Melbourne and it aims to strengthen ties between the Indian film industry and Victoria. Started in 2012, its 2018 edition will take place between August 10 and 22. With the unifying theme of 'Inclusion', this year's Festival offers Australians the opportunity to explore the richness and diversity of contemporary Indian cinema. The organizer recently announced the nomination list of the IFFM and Padmaavat has topped the list with five nominations. Sanju and Secret Superstar have landed in the second place with 4 nods each, while Padman, Raazi, Mahanati and Hichki bagged 3 nominations each. Seven international and Australian filmmakers and industry professionals will watch the movies and finalise the winners.